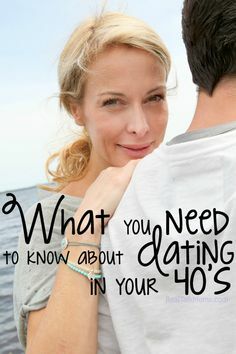 Many single or divorced 40-somethings find it difficult to meet and date new people. Some think they are too old for this stuff, others believe they have lost their dating skills. They build psychological barriers and prevent themselves from being happy. If you don’t lose hope of finding someone special who will enter your life and change your single status, the following tips will help you make your dream come true. Be persistent. What do people do when they want to get a job? They monitor job openings on a daily basis, get their friends involved, and finally get what they want. The same strategy can be applied to dating. You shouldn’t just sit around waiting for a miraculous meeting. Ask around. Again, drawing a parallel with a job search, ask your friends and acquaintances about their single friends who would like to meet you. Use your social media to check out the marital status of your school or college mates or your friends’ friends. Eat out. The easiest way to get more social and be among people more often is to get a habit of sipping a cup of coffee at the nearest coffee shop or café instead of doing it at home alone. You automatically boost your chances of meeting somebody like you there. Go online. The Web has become a great place for communicating and finding like-minded people. There are a lot of dating sites specifically designed for singles over 40 looking for their significant other. It’s a convenient way to meet a person of your age and many mature people have found their soul mate on the dating sites. Also, there are forums and chat rooms where people with similar interests and views discuss different matters so you can join one. Learn something new. Why don’t you mix business with pleasure and find a match while doing something useful? Take group tango classes, start learning a foreign language in a group for adults, or become a volunteer. You’ll be among people who share the same aspirations and one of them could become your romantic partner. Be open-minded. You’re pretty experienced and you must realize that there is nothing perfect in this life. You used to have a list of requirements for your potential partner but life has shown that no one fully meets them. It’s high time to get rid of all your psychological sets and start letting different people into your life. By meeting new people and communicating with them you’ll know yourself even better. Visit singles parties. With a high percentage of single people in their 40s, entertainment market for singles keeps growing. It’s aimed at gathering single men and women together and letting them have fun and meet each other. There are night clubs, parties, and even organized vacations for singles. Be active at work. Big companies usually arrange different seminars, master classes, meetings with interesting people that you might have ignored before. Those events give you many great opportunities to meet your counterparts and many other professionals from your field. Apart from exchanging your professional experience, you can become friends or even more with some appropriate men or women. Be attentive while shopping. Supermarkets are named one of the most popular places where singles can bump into each other. You can see a lot of people carrying carts and buying products for dinner after work. Get more like a detective and try to figure out other singles by the contents of their carts. Spot an attractive person and start examining their cart. If you understand that he or she bought the products that will suffice to feed only one person, congrats: you’ve figured a single out. Start a light conversation or give some advice. Who knows, maybe that or next evening you’ll be cooking dinner together. Attend alumni reunion. There are many instances of romantic relationships between former college students who fall in love again with their college love at a reunion party. First love is strong and it often stands the test of time. Probably, you have someone with whom you’d like to start again so don’t miss reunion parties. Even if you didn’t have a sweetheart during your studies, it’s worth going to the party to remember romantic relationships of your fellow students and revive romance in your heart.